In The indisputable existence of Santa Claus, mathematicians Hannah Fry and Thomas Oléron Evans literally teach us, in great detail, how to cook the perfect spherical turkey. As you may have already guessed, the book is a comical, tongue-in-cheek examination of the mathematics behind Christmas. The authors begin by laying down several mathematical proofs for the existence of Santa. We are then taken on a journey through a traditional festive season, wherein every activity, from wrapping presents to playing board games, is analysed to a painstaking, and hilarious, degree of detail. This helpful guide answers an array of questions that I’m sure many readers must ask themselves every December: Can game theory help me pick out the perfect presents for my family members? What equations should I use to decorate the Christmas tree? Does the Queen have a larger vocabulary than the Wu-Tang Clan? While the tone of the book is light-hearted and humorous, the authors certainly deserve to be applauded for two serious achievements. Firstly, for demonstrating, with reasonable clarity, how applied mathematics runs through so many different facets of our everyday lives; and secondly, for showing that bewilderingly complicated maths can also be really good fun. It’s inevitable some readers will quickly tire of a relentless onslaught of graphs, functions and partial derivatives. However, for many people this book will be a refreshing read that unashamedly champions a subject that it’s almost clichéd to hate. 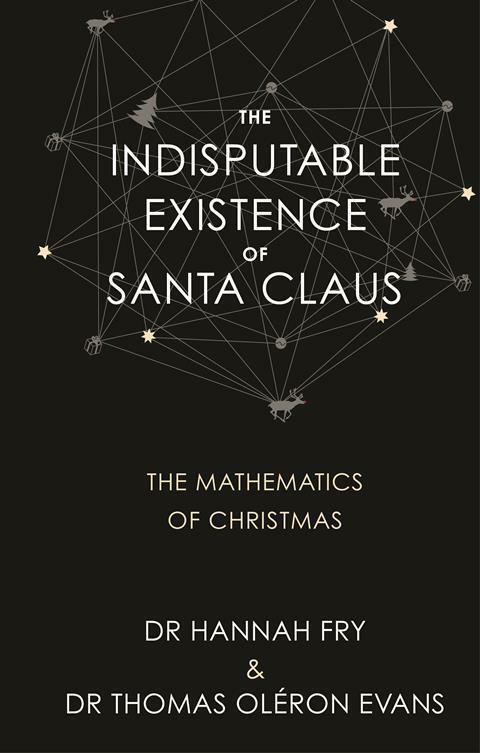 Without doubt, The indisputable existence of Santa Claus will make a great stocking filler for that special mathsophile – perhaps a beloved physical chemist – in your life.